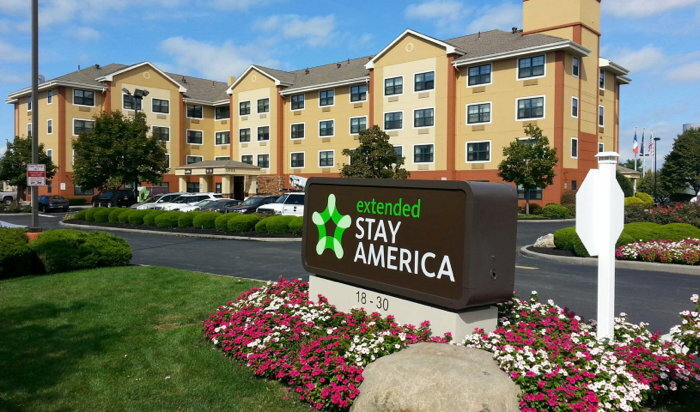 Extended Stay America, Inc. and ESH Hospitality, Inc. (NASDAQ:STAY) yesterday announced the completed sales of 2 portfolios totaling 32 branded Extended Stay America hotels. The Company recently completed the sale of 16 Extended Stay America branded hotels to Lodging Advisory Group, LLC, a hotel owner, developer and asset manager with offices in Wichita, Denver and Phoenix. The hotels acquired by LAG include hotels located in Kansas, Missouri, New Mexico, Nebraska and Arizona. The disposition comes with franchise agreements for each of the 16 hotels. Additionally, LAG has committed to build or convert five additional Extended Stay America hotels in the future. The Company also recently sold 16 Extended Stay America branded hotels to Provident Realty Advisors, Inc. ("Provident"), a Dallas based developer with 27 years of real estate experience. The hotels acquired by Provident include 11 hotels in Texas and 5 in Oklahoma and will be operated by Aimbridge Hospitality, the nation's largest hotel management company. The disposition comes with franchise agreements for each of the 16 hotels. Additionally, Provident has committed to build or convert five additional Extended Stay America hotels in the future. Extended Stay America's President and Chief Executive Officer, Jonathan Halkyard, commented, "We are thrilled to welcome LAG and Provident as our second and third franchise partners, respectively, into the Extended Stay America system. With their deep industry experience combined with our industry leading margins and our dominant position in the mid-priced extended stay segment in the lodging industry, we look forward to many years of success together." Partner and Co-founder of LAG, Dan Weber, commented, "We are very excited to acquire a high quality portfolio of extended stay hotels. Our team has extensive extended stay hotel experience and we are pleased to become a franchise partner with the leader in the mid-priced extended stay segment. We look forward to growing our Extended Stay America branded portfolio over the next several years. " CEO and Owner of Provident, Leon Backes, commented, "We are excited to partner with Extended Stay America as one of their first franchisees. We have a strong development and construction platform here at Provident that we will leverage to grow the ESA brand as a part of the ESA 2.0 initiative. Our goal as a franchise is to build a long and successful relationship with ESA." When discussing Aimbridge's role in the transaction and as the hotel manager Backes stated "Aimbridge was instrumental in a successful transaction. We are confident in Aimbridge's ability to improve the performance of these hotels through professional management. Their leadership team is experienced and their track record proven." Are you with Extended Stay America? If you are a member of Extended Stay America you may be interested in learning how to optimize your content on our network.